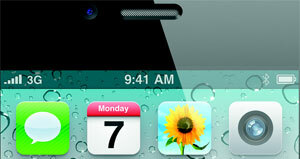 Mark Papermaster, the executive in charge of developing the antenna for the iPhone 4, has left Apple. The New York Times reports that Mark Papermaster has indeed left Apple, but there is no word on whether or not he was asked to leave or if he left of his own volition. Apple didn’t waste any time however in purging him from the company as early on Saturday you could find him listed on the Apple executives page, but by that evening he had already been removed as if he had never existed. Mr. Papermaster joined the company in 2008 after 25 years at IBM which led to lawsuits of the latter trying to keep him from joining the long time rival. He was put in charge of iPhone antenna design and was the man ultimately responsible for the recent iPhone 4 antenna failures. Bob Mansfield, senior vice president of Macintosh hardware engineering, is stepping up to take over Mr. Papermaster’s former duties. Mr. Mansfield is already involved with the iPhone in his roles of overseeing the A4 chip and the Retina Display that were both included in the latest iteration of the popular cell phone. It was suspected that things were not good with the now departed executive when he was not present at the recent press conference where it was announced free bumpers would be given to all current iPhone 4 owners to correct the antenna issue so many of them were experiencing. What does this mean for current iPhone 4 owners? Nothing, but I would say it’s a strong indication we will see another change when the iPhone 5 arrives next year.